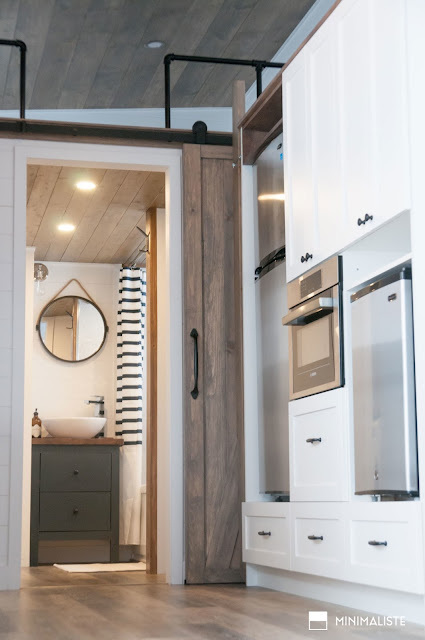 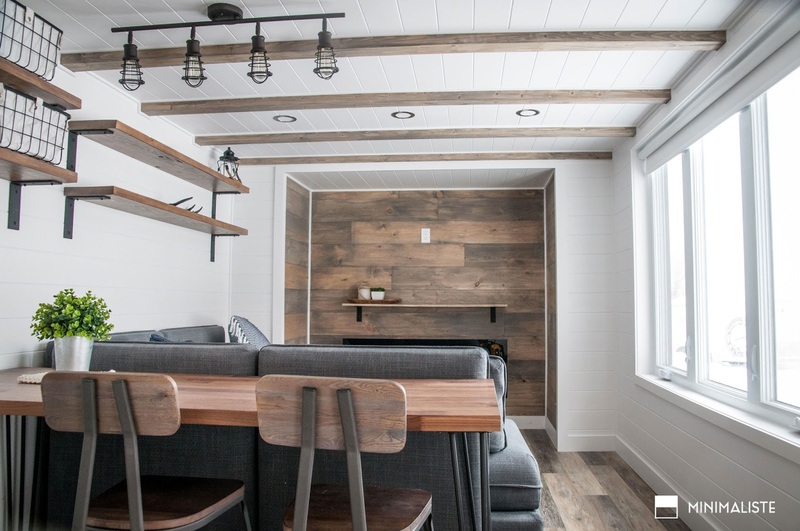 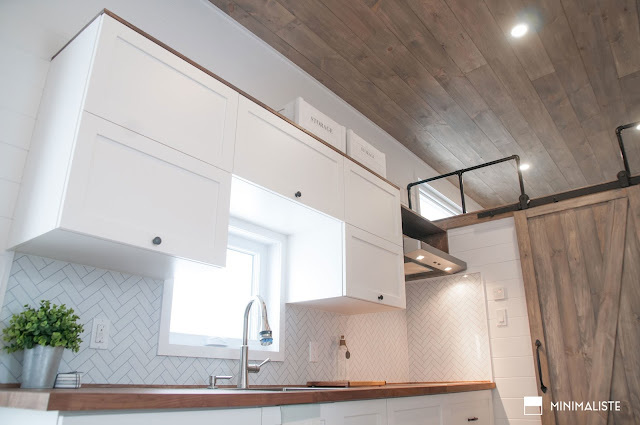 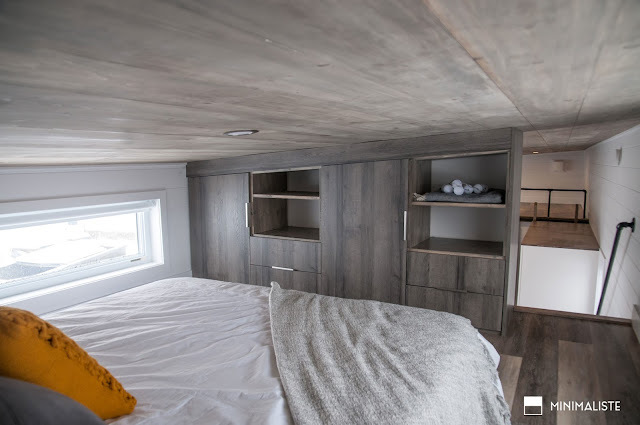 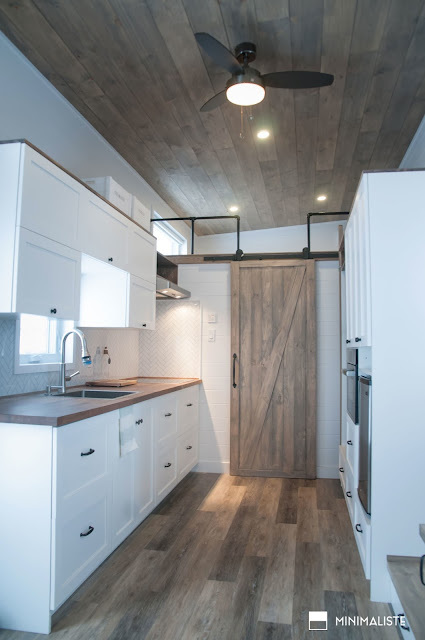 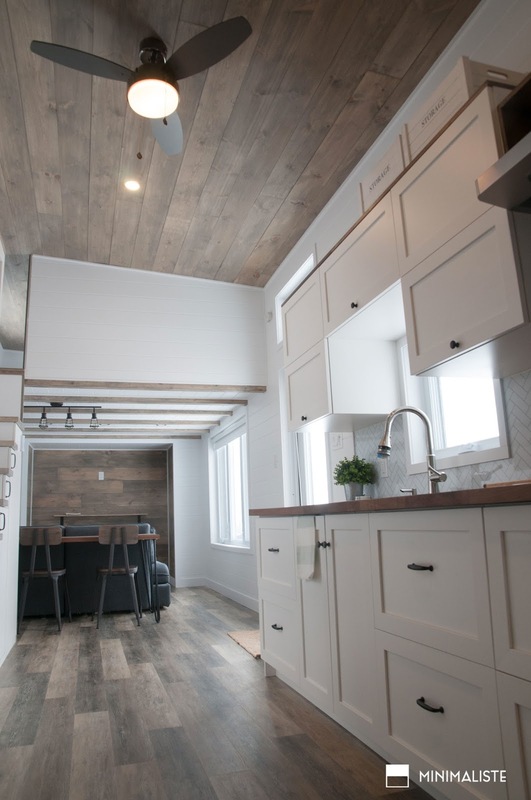 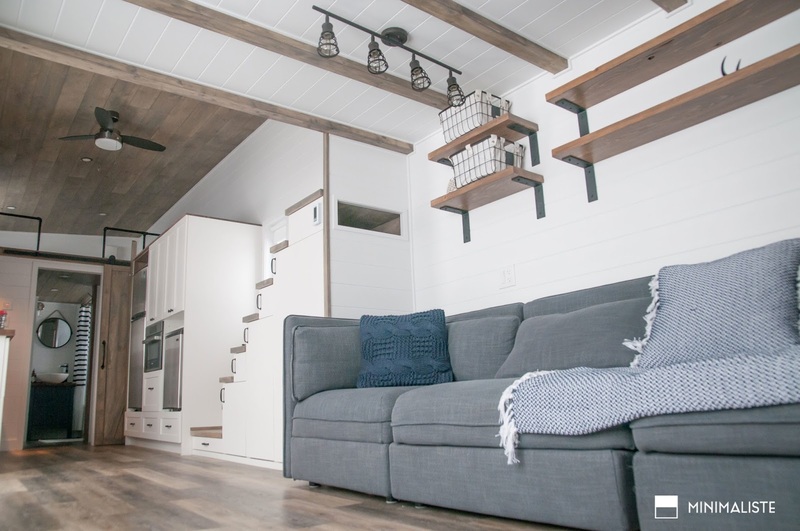 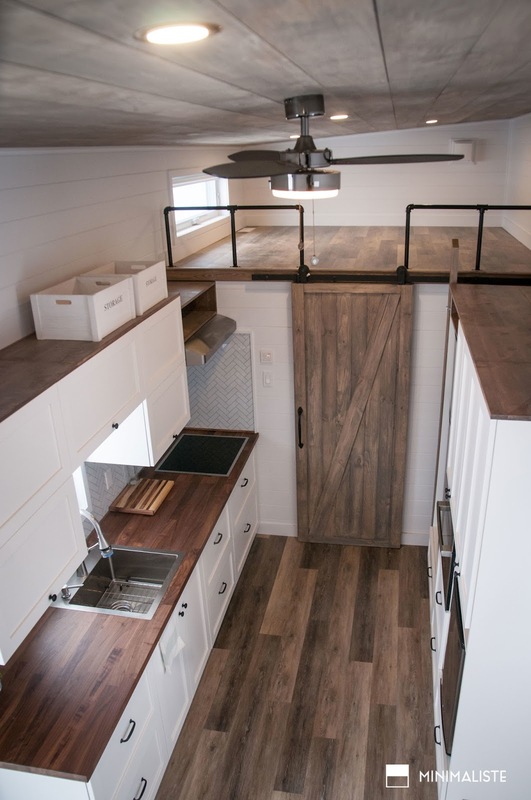 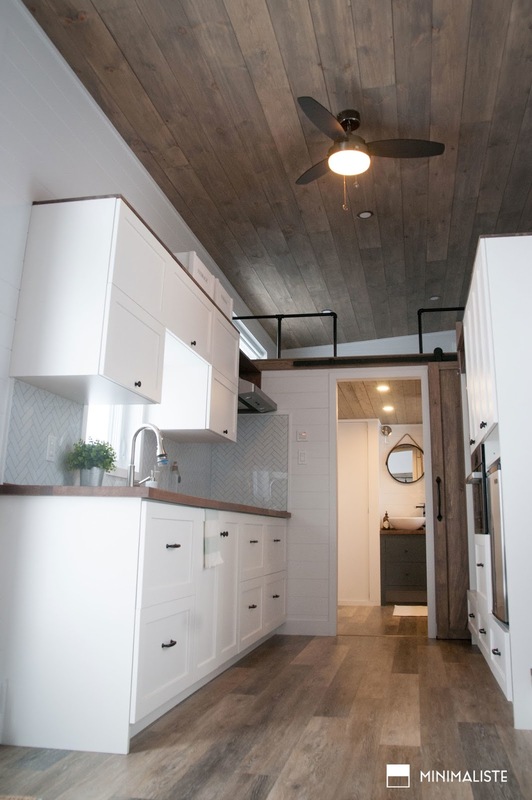 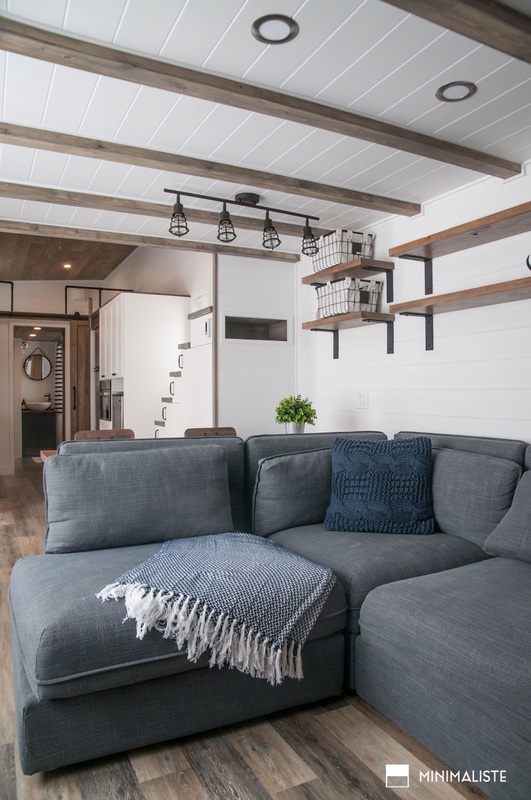 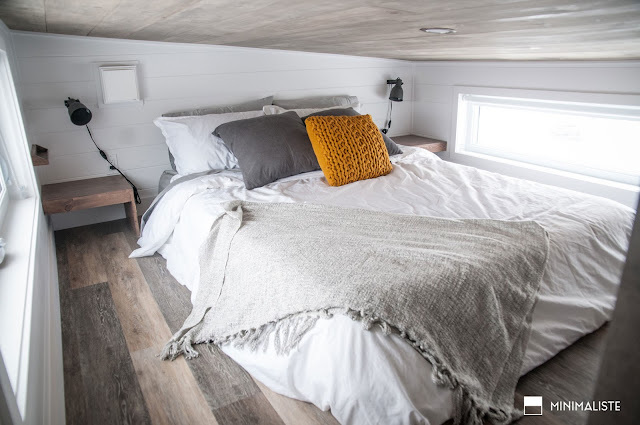 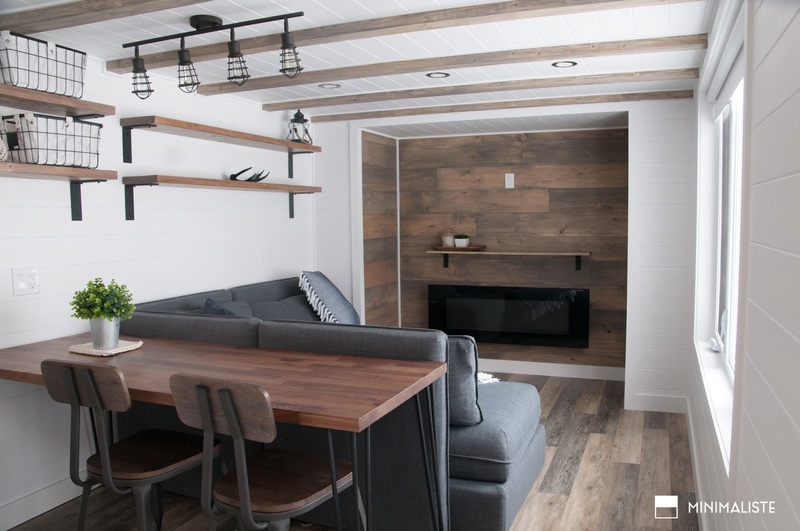 From Minimaliste, a tiny house builder based in Quebec City, Canada, is this stunning custom tiny home! 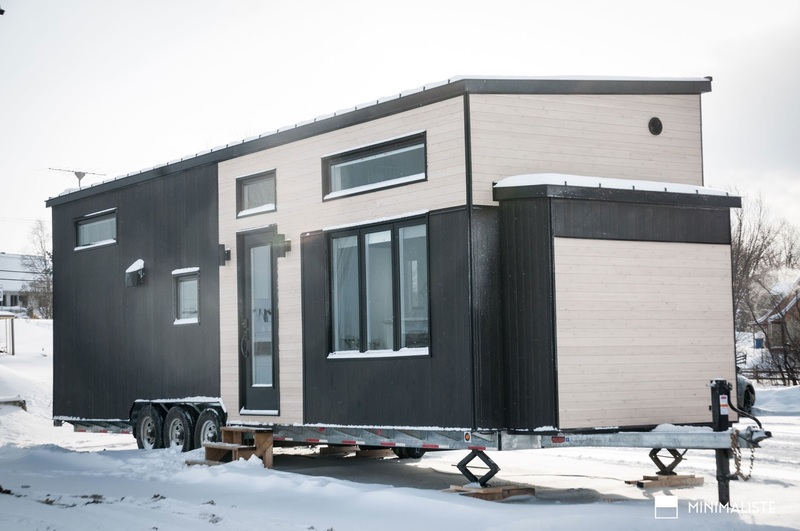 Named the "Ébène", the home is the largest the company has built so far at 10.5' x 34'. 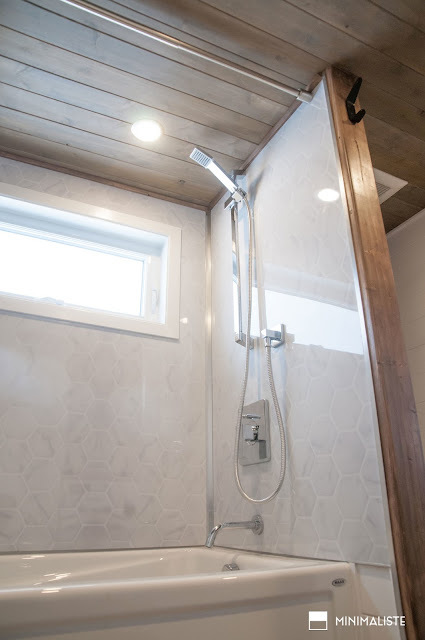 Its meticulously designed interior offers both functionality and style with all the amenities of a traditional home. 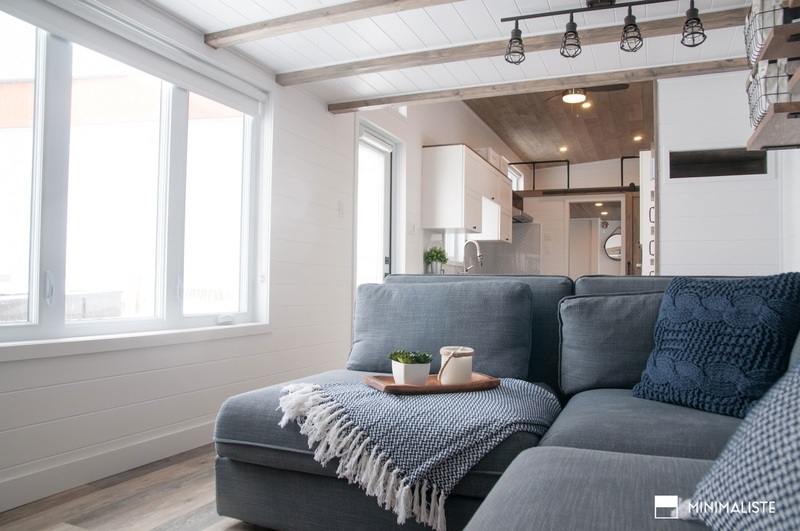 The living room is a perfect cozy spot to unwind and comes equipped with a built-in wall cabinet and solar blinds. It can also be transformed into a dining room for six, as needed! 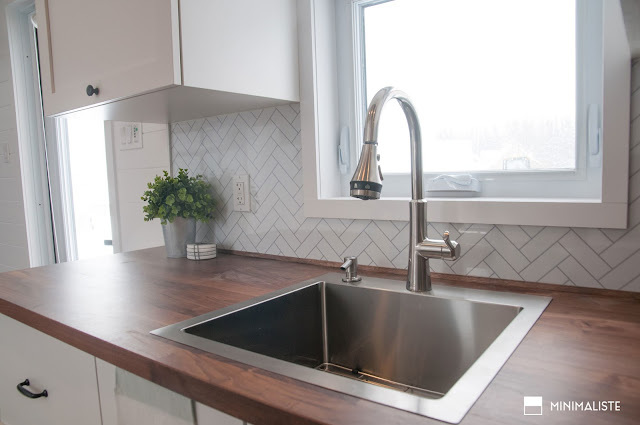 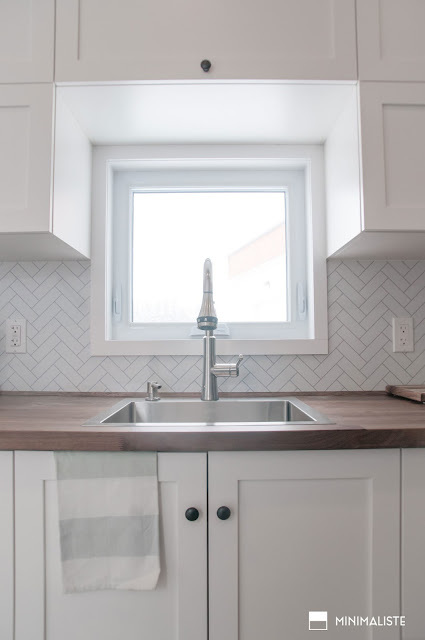 The kitchen comes outfitted with a beautiful herringbone tile backsplash, custom cabinets, drawers, and pantry storage. 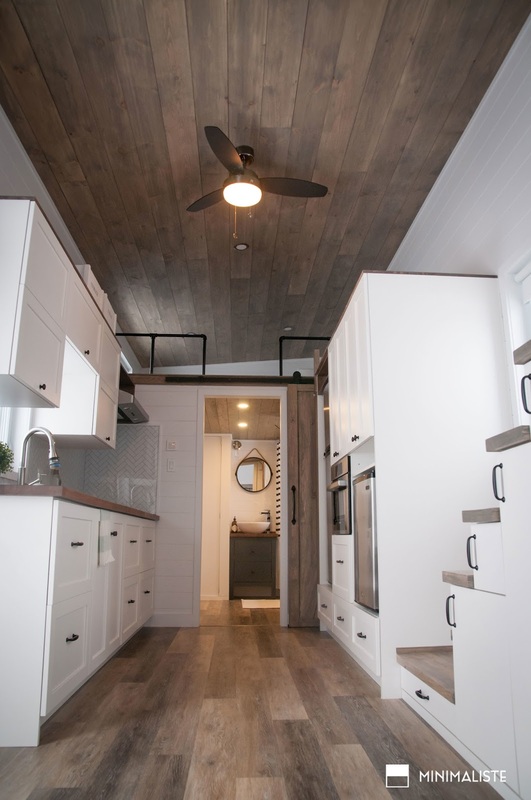 Appliances were also added, including a ceramic glass cooktop, a convection oven/microwave, and a fridge and freezer. 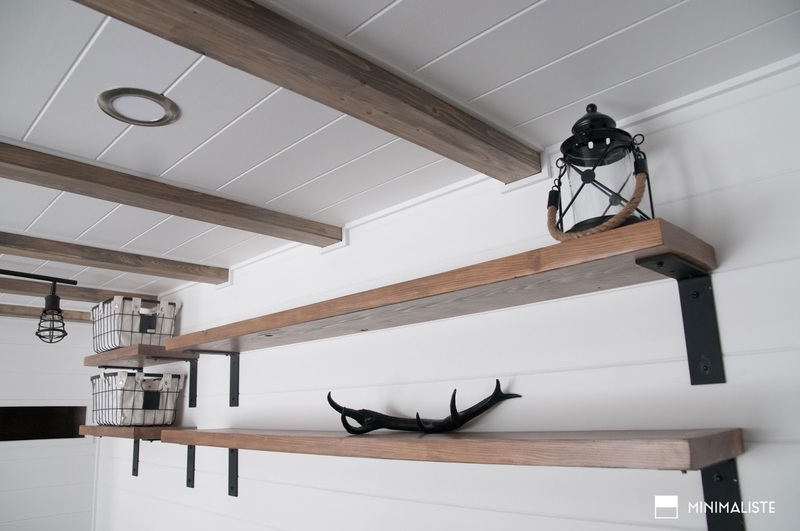 There's also a small spot to store the ladder that allows access to the home's loft bedroom! The Ébène's bathroom also doubles as the home's laundry room. 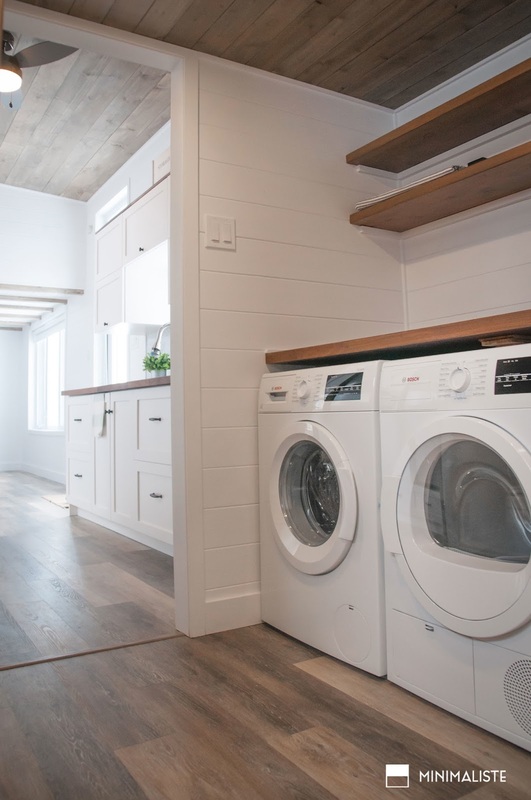 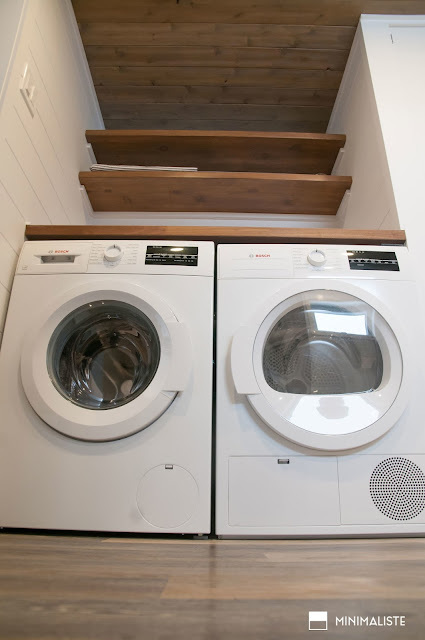 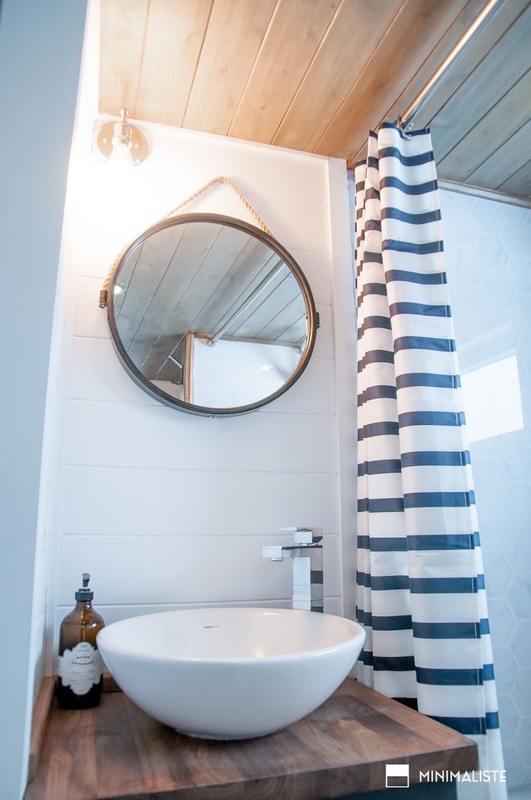 In addition to a toilet, a 30' x 60' shower and a vanity, there is also a washer and dryer! 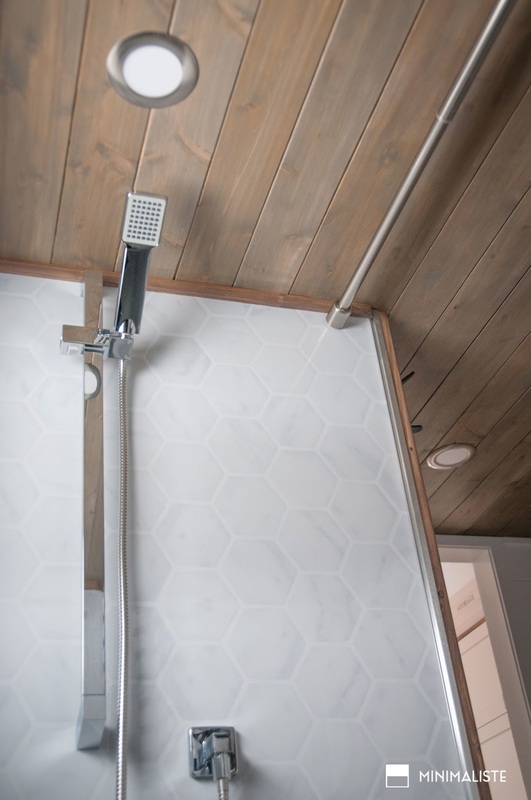 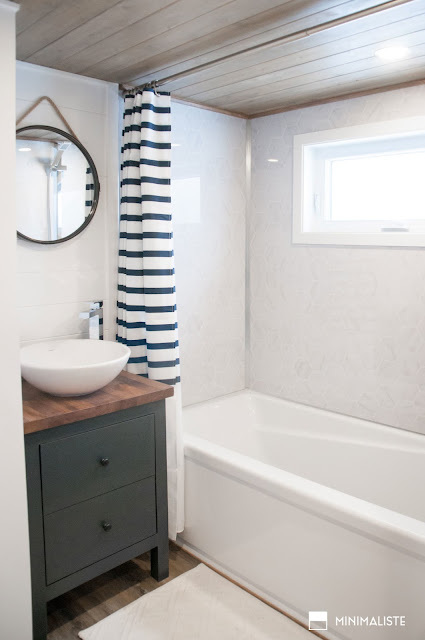 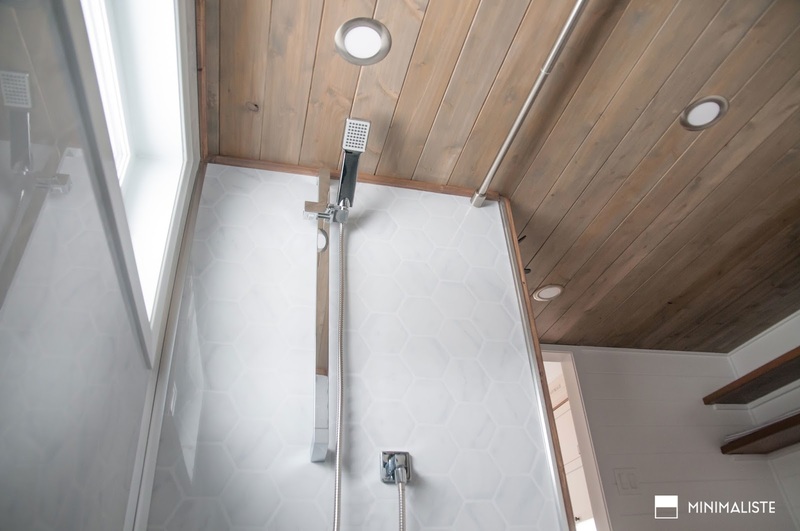 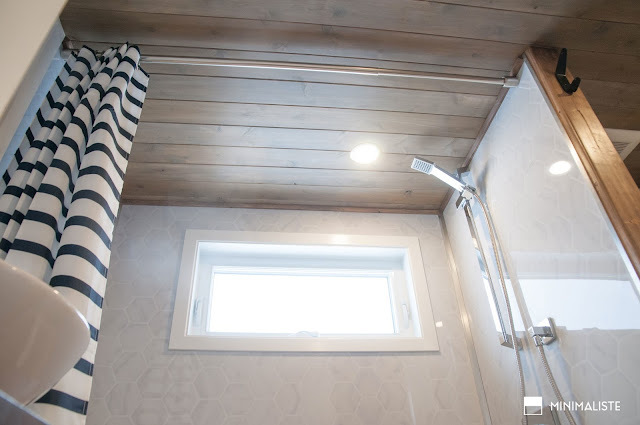 Also included in the bathroom is extra storage and the home's mechanical room. 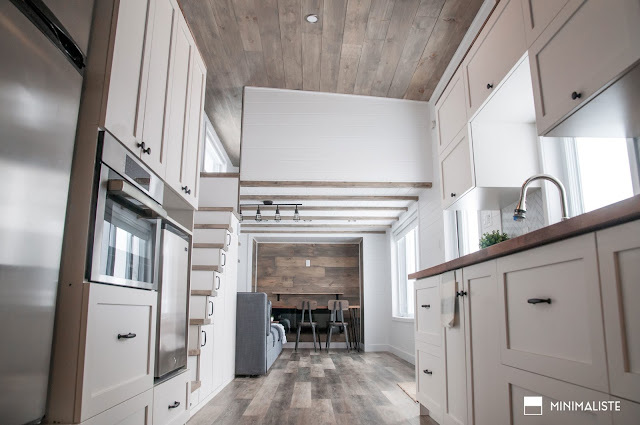 For more information, or to contact about Minimaliste about a project, reach out to the builder here!